With the rapid growth of energy costs and the constant promotion of environmental standards, energy consumption has become a significant expenditure for the operating and maintaining of a cloud data center. To improve the energy efficiency of cloud data centers, in this paper, we propose a Virtual Machine (VM) scheduling strategy with a speed switch and a multi-sleep mode. In accordance with the current traffic loads, a proportion of VMs operate at a low speed or a high speed, while the remaining VMs either sleep or operate at a high speed. Commensurate with our proposal, we develop a continuous-time queueing model with an adaptive service rate and a partial synchronous vacation. We construct a two dimensional Markov chain based on the total number of requests in the system and the state of all the VMs. Using a matrix geometric solution, we mathematically estimate the energy saving level and the response performance of the system. Numerical experiments with analysis and simulation show that our proposed VM scheduling strategy can effectively reduce the energy consumption without significant degradation in response performance. Additionally, we establish a system utility function to trade off the different performance measures. In order to determine the optimal sleep parameter and the maximum system utility function, we develop an improved Firefly intelligent searching Algorithm. Shunfu Jin received the B.Eng. degree in computer science from North-East Heavier Machinery College, China, M.Eng. degree in computer science from Yanshan University, China, and Dr.Eng degree in circuits and system from Yanshan University. Now she is a professor at School of Information Science and Engineering, Yanshan University, China. Dr. Jin’s research interests include stochastic modeling for telecommunication, performance evaluation for computer system and network and application for queueing system. 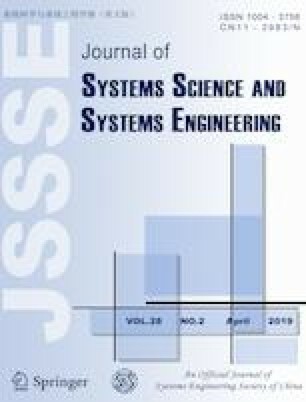 Dr. Jin’s papers have appeared in journals including Telecommunication System, Communications Networks, IEICE Transactions on Communications, Performance Evaluation, etc. Shanshan Hao received the B.Eng. degree in computer science and technology from Hebei Normal University, Sh?iazhuang, China. Now Miss. Hao is a postgraduate student at School of Information Science and Engineering, Yanshan University, China. Miss Hao’s research interests are mathematical modeling, performance evaluation and resource allocation of cloud computing. Xiuchen Qie received the B.Eng. degree in computer science and technology from Harbin Normal University, Harbin, China. Now Miss. Qie is a postgraduate student at School of Information Science and Engineering, Yanshan University, China. Miss Qie’s research interests include cloud computing, virtual machine management and stochastic modeling. Wuyi Yue received the B.Eng. degree in electronic engineering from Tsinghua University, China, the M.Eng. and Dr.Eng. degrees in applied mathematics and physics from Kyoto University, Japan. Dr. Yue is currently a professor at the Faculty of Intelligence and Informatics, and Dean of the Graduate School of Natural Science, Konan University, Japan. Dr. Yue is a fellow of the ORSJ, a senior number of IEICE, Japan and a member of the IEEE. Dr. Yue’s research interests include queueing theory, stochastic processes and optimal methods as well applied to system modeling, performance analysis and optimal resource allocation of communication networks, systems engineering, and operations research. Dr. Yue is an author (a coauthor) and a co-editor of more than 10 monographs published by Springer and other Publishers, and more than 300 refereed papers published in journals such as IEEE Transactions and IEICE Transactions, and in proceedings of IEEE, ACM, LNCS, Springer. This work was supported in part by National Natural Science Foundation (Nos. 61872311, 61472342), Hebei Province Science Foundation of China (No. F2017203141), and was supported in part by MEXT, Japan. The authors would like to thank the anonymous referees for constructive comments which greatly improved the presentation of the paper.